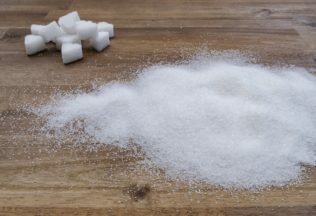 An Israeli company has received US $8.1 million to commercialise a sugar reduction solution that claims to reduce the amount of sugar in a product by 40 per cent. Targeted technologies development company, DouxMatok, said its sugar reduction technology maximises the efficiency of sugar delivery to taste buds and enhances the sweetness. This then allows for less sugar to be used and for calories to be reduced. The sugar is said to leave no aftertaste in the product and is compliant with FDA and EU regulations. Chief Executive Officer and Founder of DouxMatok, Eran Baniel, said the financial investment will speed up the process of commercialising the technology. “We hope that DouxMatok will become a trusted leading brand in the efforts to reduce sugar consumption to healthier levels, so we can continue to enjoy the foods we love,” Baniel said. The funding was led by Israel’s largest venture capital fund, Pitango, along with existing shareholders. Pitango Managing General Partner, Ittai Harel, said the potential of the DouxMatok’s technology is “immense”. major food manufacturers, the company has proven its ability to achieve desired sweetness level with significantly reduced sugar content,” Harel said. It is expected the technology will be commercialised by the end of the 2018 calendar year. Will low-calorie sweetenersnow look like meringues?